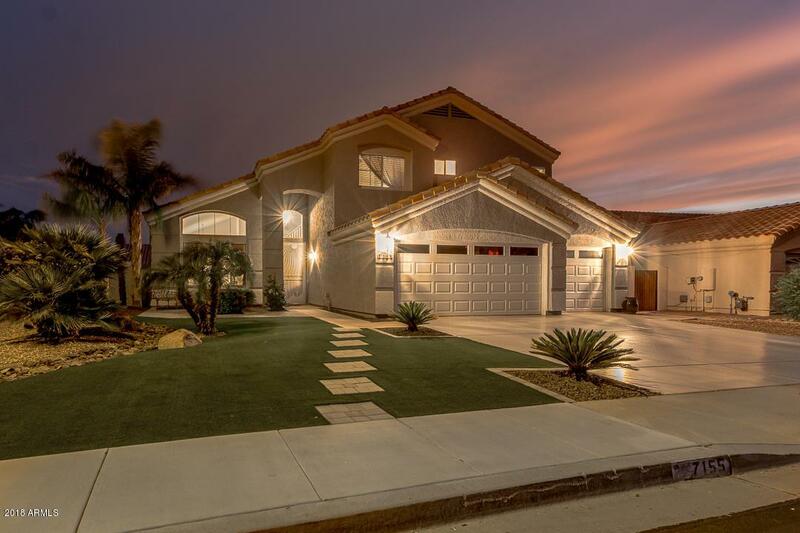 This home is exquisite with beautiful upgrades and features both inside and out. 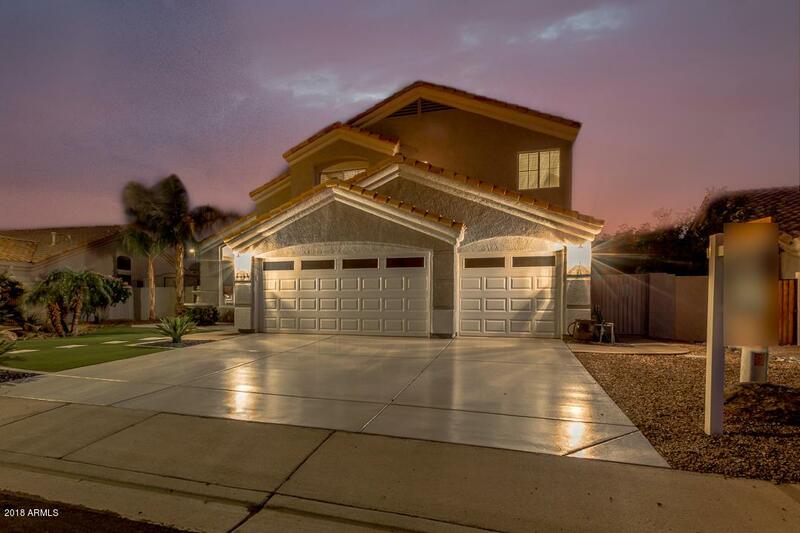 Highly upgraded 5bd/3ba/3 car garage with superior finishes that will impress you starting upon arrival. 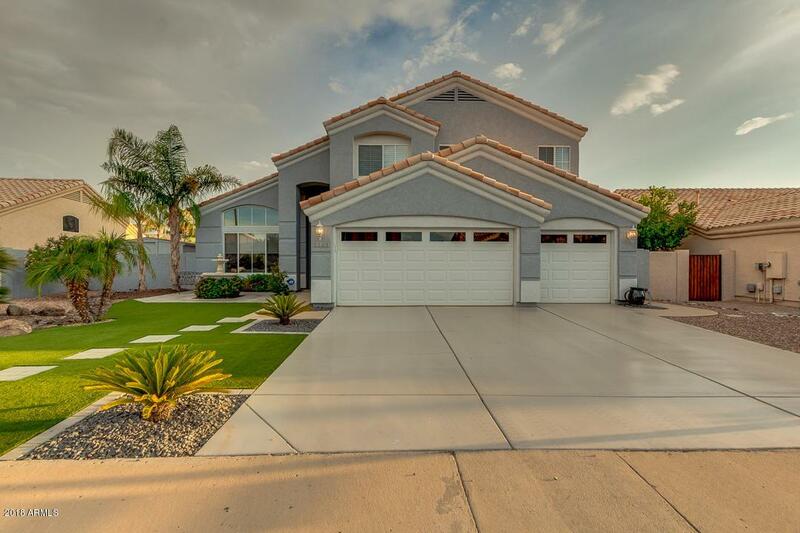 The curb appeal is an attention grabber with modern gray fresh exterior paint, epoxied drive, synthetic grass with stone walkway, pavered courtyard with water fountain and grand front iron security door. The backyard is truly a retreat, a sanctuary for you to unwind. The appeal alone is astonishing with refreshing swimming pool and spa, extended covered patio w/ 4 outdoor fans, tiled patio deck, BBQ grill/bar station, custom wood-burning fireplace, synthetic grass, thoughtfully landscaped to allow for beauty with low maintenance. 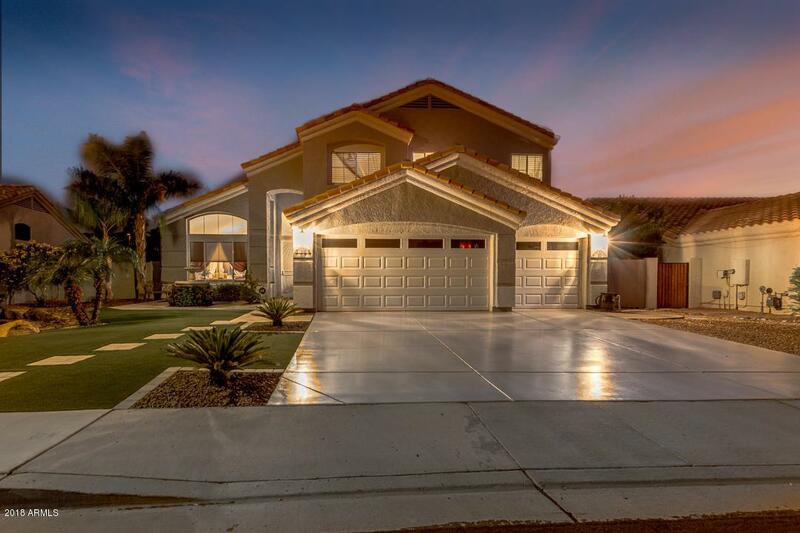 Once inside...Please click ''more'' tab for more info., take note of the soaring vaulted ceilings, gorgeous and recently remodeled staircase, beautiful flooring, stunning kitchen with darkwood slow close upgraded cabinetry and stainless appliances. The main floor has a bedroom (office) and full bath. The Master bedroom's grandeur will excite you with double door entry, vaulted ceiling, expansive size and stylish bathroom w/ separate sinks, marble tops, clawfoot tub, tiled shower surround. The garage has storage cabinets, epoxied flooring, new garage doors and openers, service entry door and the list goes on. There's so much more so you'll simply need to come see it for yourself.